Am I suitable for Scuba Diving? Does child suitable for Scuba Diving? Yes.Child who aged 8 or above could apply for PADI Bubblemaker or PADI Seal Team conducted by Diving Adventure (DA) to experience Scuba Diving in Pool. For those who aged 10 or above could apply for PADI Junior Open Water Diver course, by learning solving problem underwater independently, child could improve their self-confident, discipline and obeying to the Instructor, meanwhile child could gain knowledges about the ocean. Parents are welcomed to study the course with their child making Scuba Diving a healthy recreational sport for the family. Do ladies suitable for Scuba Diving? Yes.Nowadays Scuba Diving is very safe and easy-to-handle, more and more lady divers joined this activity in recent years. In past ladies concern they need excessive strength and technique in Scuba Diving, but nowadays the equipments are very advanced even some of them are specially designed for ladies, so more people could share the beautiful scene underwater while they don't need to have an outstanding strength and technique. Do elderies suitable for Scuba Diving? Yes.As Scuba Diving a non-competitive recreational sport, elderly are welcomed to learn Scuba Diving. We suggest you to consult family doctor or have a body check before taking the course if you have any hesitation on your health condition. Do the disabled suitable for Scuba Diving? Yes. You are able to apply for Discovery Scuba program conducted by DA or apply for IAHD Certification courses and have fun together. Do I need outstanding swimming technique for learning Scuba Diving? No. The Scuba equipment nowadays are very safe and reliable as you don't need an outstanding swimming technique, but we highly recommand you have learnt basic swimming skills before taking the course for safety reasons. Actually Scuba Diving is very safe only if you are not instructed by a certified Scuba Instructor, it may cause danger easily. There are International Diving Association which responsible for standardizing training procedure and safety requirement such as PADI nowadays and required divers to obtain a license before joining this activity. Just like you need to obtain a drinving license before you drive. This is to make sure that divers are being trained properly before they are issued a license to minimize the chance of an accident. What should I do if I fear about adopting into the underwater environment? You are able to apply for the discovery programs conducted by DA in pool or in open water in an acceptable price then you can experience the joy from Scuba Diving under Instructor's direct supervision. If you find no problem in the discovery program, then you can continue stepping into the certification course. Does Scuba Diving consumes excessive stamina and strength? As you are in a weightless status underwater, you don't need to spend much stamina and strength during the dive. That's why Scuba Diving becomes much more popular for the people who live in the cities as a method to stress themselves off. Are Scuba equipments safe and reliable? Since years from Scuba Diving becomes popular, Scuba equipments become very safe and reliable nowadays. I am busy, am I able to finish the course in the fastest way? The minimum requirement for the course is 4 days. You can divide the course into two Saturdays and two Sundays, or depends on your own schedule, DA offer a flexible schedule assisting the students to finish the course depends on their request. Am I able to learn Scuba Diving as I need to wear a glasses? You are able to wear the contact lens, but there is possibility of misplacing underwater or being flushed away. So we recommand you to have a mask with corrective lens, we provide lens from -1.0 to -10.0 for choices. After you checked your eyes by an qualified optometrist, we are able to find the suitable corrective lens regarding the result. Am I able to learn Scuba Diving if I smoke? We don't encourage divers smoke as smoking originally not good for health. Will I feel pain in my ears while diving? Because of the water-pressure, we must equalise the pressure while descending. It's an easy technique and actually you won't feel pain, Instructors will explain to you during lessons. Diving Adventure has already purchased the Dive Insurance from PADI protecting the students and the participants. You are able to purchase an insurance individually, ask your Instructor for more information. 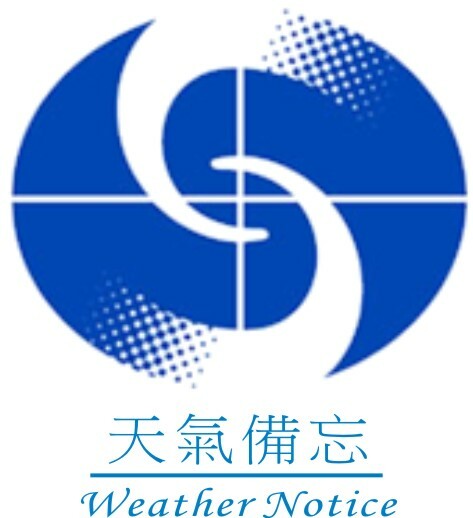 Will I face any problem in other countries if I obtained my certificate in Hong Kong? PADI is the world's biggest Diving Association with branches all over the world, so you won't face any problem in this case. What are the basic Diving Equipments? Mask, Snorkel and Fins are the most basic diving equipments. You are able to go snorkeling with them at anytime. Why I need to be trained in pool first during the Open Water Diver Course? The rookies usually feel nervous during the first few dives. Swimming pool provides a safe environment for them to build-up their self-confident step-by-step under the instructions from the Instructor, they will find easier to get familarized to their equipment too. After finishing the training in pool, we will arrange open water training. DA's Open Water Diver course provides sufficient training time in pool, hoping all the students could learn all the skills they needed, to be a safe diver all the time after certification. What are the different between Snorkeling, Free Diving and Scuba Diving? Snorkeling means you explore the underwater world with mask, snorkel and fins while you are always at the surface. Snorkelers always keep themselves near the shore due to safety reasons and watch the underwater creatures from distance. It's suitable for those who just begin exploring the ocean and for those who are not good at swimming. Free Divers require a better swimming technique for them dive into the water with holding a breath, normally they need to swim back to the surface to breath in half or one minute. Free diving makes diver could explore the underwater world closer but it needs a long time training to improve their ability in holding their breath. By going through a proper training, you learn how to use the air tank and the other Scuba Equipments correctly. It makes you able to dive into the ocean and explore the underwater world in a close distance, enjoy the beautiful underwater world. What are you waiting for? Come and join us now! PADI - Professional Association of Diving Instructor. The world's biggest diving association with branches all over the world. Diving Adventure is the biggest PADI 5 Star Instructor Development Center in Hong Kong. What are the advantages for learning Scuba Diving in Hong Kong? Most of the Hong Kong people are busy in life and have only few holidays. By learning Scuba Diving in Hong Kong, they could make use of the time after work for lessons and the weekends for pool/openwater training. Also its easier to learn by teaching in Cantonese. After finishing the course, they could form a trip to the near South East Asia countries and spend their holidays there, enjoying the beautiful sence in a relaxing way, but not aiming to finish the course within days in hurry. What are the basic requirements for learning Scuba Diving? Reached the age of 10, know how to swim, in good health condition. Do I need a body check before learning Scuba Diving? For all the applicants they need to fill in a Medical Statement provided from PADI. If you have any hesitation on your health condition when filling the form, we suggest you to consult your family doctor and to have a body check. A body check is not a must if you completed the form smoothly without any hesitation. How long does it takes for the whole Open Water Diver Course? The course included 5 theory lectures (approx. 2 hours each), 5 sessions of pool training (approx. 2hours each) and 2 full days for Open Water training totally 4 dives (2 dives each day). It takes about 4 fulls day for completing the whole course, or you can choose the weekdays course in part-time basis, having theory lessons and pool session in the evening after work. We offer flexible schedule to the participants as they could arrange the course fit to their schedule. My Chinese is not good, is there any English class? Yes. Diving Adventure provides teaching languages in Cantonese, Mandarin, English, Japanese and Russian depends on students' need. Training materials including PADI DVDs are also available in Chinese, English or many other languages. Can I have my training materials in other language? According to PADI is an international association, their training materials are printed and produced in many different languages. There are now user manuals in Traditional Chinese from Open Water Divers upto Instructors. Also there is subtitles in Traditional Chinese for the DVDs, it helps student easier to learn. Is there any depth limitation for PADI Open Water Divers? Is there any paper examination in the course? 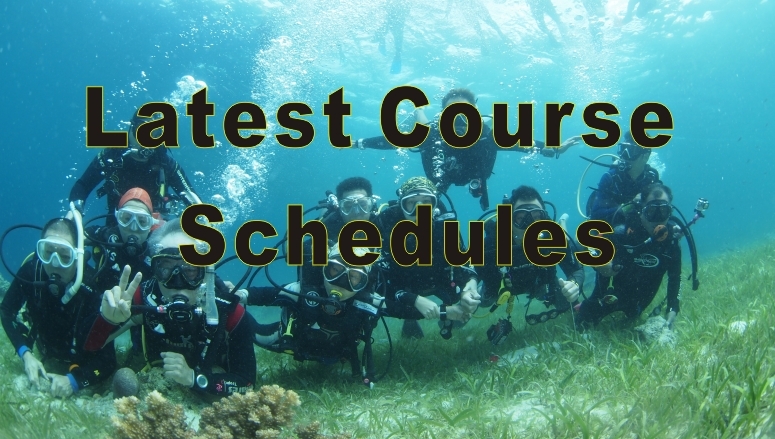 In PADI Open Water Diver Course, participants have to finish 4 quizzes in the first 4 theory lectures, to make sure they understand what they have learnt in the previous lecture, Instructors will explain again if there is any wrong answer. There will be a 50 questions exam after the 5th lecture, if you paid attention in the class and revised your user manual at home, it won't be a problem in getting a pass. What is the certification for? How long do I need to wait for the C-card? The C-card will be ready in about 1 month, you are able to travel all around the world for Scuba Diving with holding the C-card. If you planned your trip within 1 month you completed the course, you are able to ask for a Temporary card from your Instructor, it valids for 90 days since your certification and has the same function with the C-card. Am I able to join DA's activity if I already have a certificate issued by other training association? 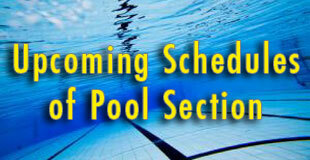 Most of the well-known Scuba training associations are eligible to each other. We welcome divers from different training association to dive with us and seek for a higher qualification. Please contact us if still you have problem on this. What should I do if I lost my C-Card? If you are a PADI Diver, we could check your information through internet by stating your name and date of birth. If you planned to dive in the near future, you could print this information as an evident. For C-card replacement, we will assist to apply for a new C-card once you settled an admin fee and provided us a photo. Except PADI, what are the other scuba diving associations? How long is the Hong Kong Coastal line? How many out-lying islands does Hong Kong have? Hong Kong has over 200 out-lying island. How many species of coral does Hong Kong have? No less than 50 species, almost equals to the total number recorded in the Caribbean Sea. As Hong Kong is located in the edge of the Torrid Zone and the Temperate Zone, the water tempreture and the weather conditions are very suitable for the corals to growth. Is Hong Kong suitable for learning Scuba Diving? Actually Hong Kong is very suitable for Scuba training, most of the dive sites near to Sai Kung and Sai Kung is also easy to get to. The depth for most of the dive sites in Hong Kong are shallow with many corals there. Many people choose learning Scuba Diving in Hong Kong and keep exercising this activity regularly in different dive sites around Sai Kung after certification. May I take the course in Winter? Hong Kong's water tempreture in Winter is fairy low. You are able to choose learning Scuba Diving oversea arranged by our Travel Department (TIC License: 352605), the theory lessons will be conducted in Hong Kong while pool sessions and open water trainings are conducted in oversea, Generally, the most popular place for oversea training is The Philippines. Should I learn Scuba Diving in Hong Kong or oversea? Actually both choices have different advantages, Diving Adventure provides local Scuba Courses and our Travel Department provides oversea Scuba Courses, you may choose the one which most suitable for you by consulting us. What are the advantages for learning Scuba Diving oversea? You are able to complete the course within days oversea, enjoying the beautiful scene during the joyful, exciting holiday. How much does it cost for the Scuba gears? Scuba gears included the Buoyancy-Control-Device (BCD) and the Regulator including the First stage, Second stage, Octopus, Pressure gauge, Depth gauge and the Compass. The whole set costs about $4000up. Student divers can decide to buy your own set of equipment or not. Usually self-owned equipments are much fit to size and comfortable, hygenic condition is also a concern compare with the rental gears. How much does it cost for the basic Scuba gears? The basic Scuba gears included the Diving Mask, Snorkel and Fins, actually they are not expensive and cost only few hundreds. Having your own set of equipment is could help to reduce the rental fee and save money in long-term. Do I need to have my own Scuba Tank? No. Scuba Tank is difficult for storage and you have to refill the tank everytime before you go diving, so not many divers in Hong Kong have their own tank. Diving Adventure provide Scuba tank rental service, also we conduct local fun dive activities every weekends, air compressors and tanks are ready on board. Any annual fee is needed on my Scuba License? Divers will receive a C-Card after completion of the PADI Open Water Diver Course through Diving Adventure, you are able to rent Scuba gears in dive shop/ dive resorts everywhere in the world by holding this C-Card without any anuual fee. We encourage divers continue their study to enhance their skills and make Scuba Diving fun and safe. Why there are Scuba Courses in lower price? Some of the dive shops or freelance instructors might reduce their course fee to attract students, but you might find the course details are different from normal. 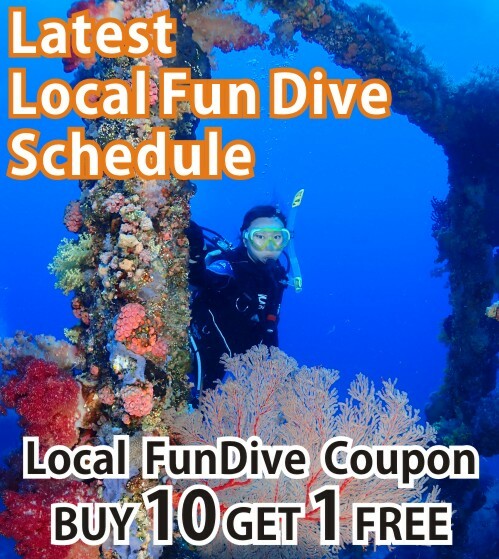 Diving Adventure explains the whole course details to the student before application and charge all the fees at once, no additional training fees and certification fees will be charged during the course. Participants should ask clearly for all details before application to protect your own benefits. 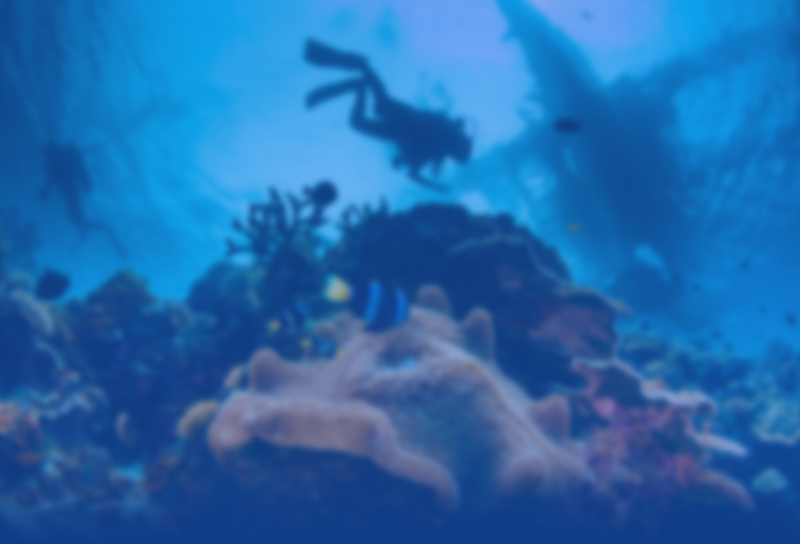 How to select a reliable scuba trip as there are so many choices in the market? You should choose the legally licenced travel agents. Nowadays there are many clubs and privated companies are not registered and licenced as a travel agent. According to the Travel Agents Ordinance, travel agents which carry on outbound or inbound travel business must first join the TIC and then obtain a Travel Agent's Licence. Travel agents must pay 0.3% of the total tour fare to the 'Travel Industry Compensation Fund' protecting the travellers. In the unfortunate case that the travel agent goes bankrupt, affected travellers are entitled to receive from the TICF an ex gratia payment of up to 90% of the tour fare paid. Victims and their relatives could ask for financial refief if there is any accident causing injury or death during the trip. Diving Adventure (Travel) Limited (Licence number: 352605) holds an official licence, protecting the benefits of the consumers. Swimming ability - Able to swim 200m without any equipment assistant and know how to keep floating at the surface. Paper examination and Water Test will be conducted. A C-card (Certification) will be issued after comepletion of the course, the C-Card valids all over the world. The other training associations in Hong Kong -BSAC、CMAS、HKUA、NAUI、PADI、SDI、SSI．．．etc. ever had Serious sickness in the past, such as staying in hostipal for 2 days or more, had or having any medicines treatment, or had an operation. ever had a heart-disease, high blood pressure, cadiovascular sickness, Coronary heart-disease, phthisis, asthma, bronchitis, pneumothorax, lung explosion. Above mentioned sickness may cause uncomforable or other potential sickness, applicants should pay attention on this. We suggest you to consult your family doctor to see whether you are suitable for Scuba Diving or not if you have any hesitation on your health conditon. Get familarize with your Scuba Equipment. Continue your education on Scuba Diving. 1.Learnt how to swim before applying for the course. 4.Use proper equipments and familarize with them. 5.Wear enough suits to keep warm. 6.Follow the regulations and limitations. 7.Listen to the briefings provided by Dive Master. 8.Ask for professionals' guidance when you arrived at a new environment. 9.Attend a Scuba review course if you didn't dive for a long time. 5.Feel pressure and unease with the dive. 1.Equipments are not properly serviced and in a bad condition. 2.Not enough tank pressure and the bad air quality in the tank. 3.Join the tours with guidance by an experienced tour guide/ instructor. 4.Purchase personal Travel Insurance covering Scuba Activities. 6.Follow the guide of experience Dive Master or Instructor. 7.Get familarized with the dive sites and weather conditions. 8.Make sure there are sufficient supporting crews ready at the surface during dive. 1. Are the equipments fit. 3. Make sure the equipments are functioning well before use.